Have just come from Lanhydrock and a lovely walk through the woods with my grandchildren and dogs, followed by hot chocolate and marshmallows, such indulgence, but beware that the lovely old bridge at Respryn has been substantially narrowed at both ends, so do take care! 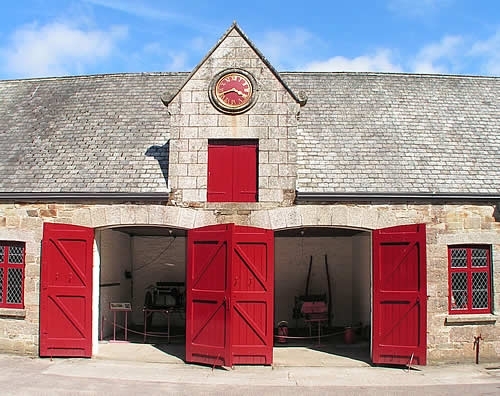 The carriage house at Lanhydrock with its pretty little clock tower (pictured above) is full of interesting artifacts from a bygone age. 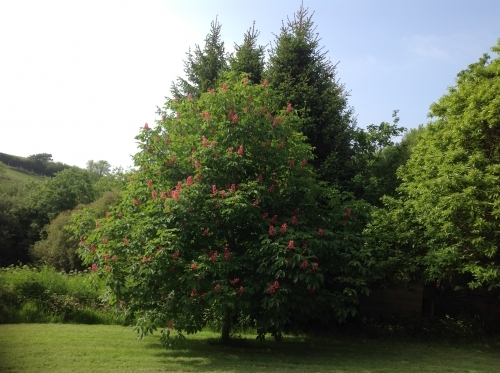 One of our lovely chestnut trees showing a fine display of blossom in the summer which promises a good crop of chestnuts for conker fights in the autumn!